This is an orange 1000 foot spool of plenum fiber optic distribution cable intended for large installations of short range runs at LAN Speeds. 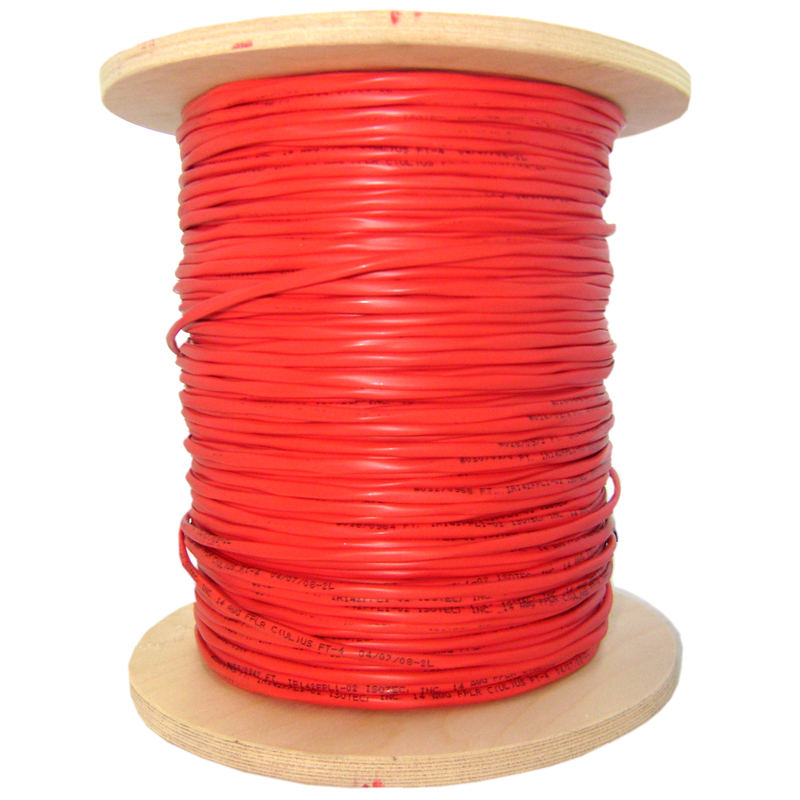 It is composed of 6 multimode fibers (62.5 micron core) inside an Aramid yarn wrapped in an orange PVC outer jacket. Multimode fiber is optimized to work with fiber optic equipment using light wave lengths of 850nm (nanometers) or 1300nm. The cord is duplex (two fibers) which means it permits synchronous communication between devices. The cladding diameter is 125 microns. The Graded-Step core and cladding of our orange bulk 62.5/125 distribution fiber optic cable is constructed using a high-quality multimode fiber that is compliant with TIA/EIA 492AAAA-A, IEC 60793-2-10 and ISO/IEC 111801 (type OM1 fiber).